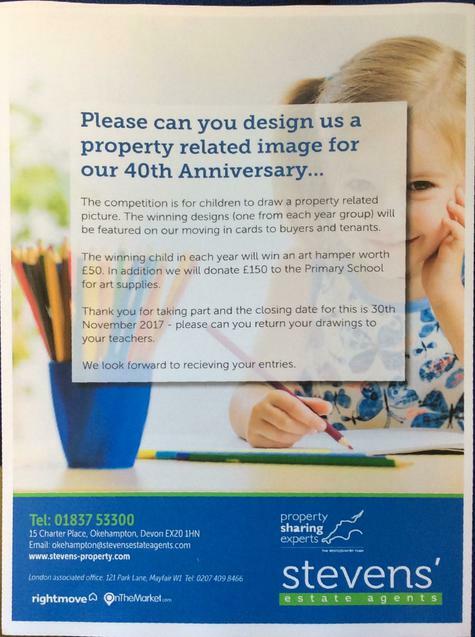 Your children should have received their flyer inviting them to participate in the card design competition kindly offered by Stevens Estate Agents in town. This competition has come about to celebrate their 40th anniversary. The idea is for every child in school from reception through to Year 6 to have the opportunity to design and draw (or paint!) a design that involves somewhere where you would live. The flyer mentions buildings but you could also include things like toadstools, treehouses, shells or anything something would live in. The winning design will be made into a Welcome to your new home card, so whatever they draw will need to have a door, windows etc. Some children have completed these in class and they also suggested adding chimneys, Welcome mats, animals and people. They were very successful and offered a variety of designs. If coloured with pencils, please try to encourage them to use additional layers to get the image to become vibrant in colour. Stevens will be nominating a winning design per year group with a prize of an art hamper of goodies worth £50. The school will also receive £150 worth of art goodies. There are a limited amount of flyers left on reception desk due to printing costs, should your child have misplaced theirs. 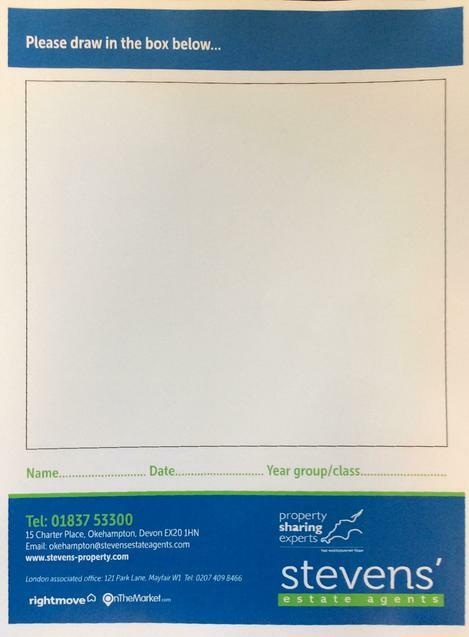 Please see Mrs Redhead should you need one, either by email lunar@okehampton-pri.devon.sch.uk or through PTFA website. All designs need to be returned back to the class teacher or reception by 30th November. Unfortunately any designs received after this date (from 1st December) will not be considered as the designs are due to be sent off then. The winners will be announced before we break up for Christmas by Stevens and Mrs Redhead. We look forward to seeing your wonderful creations and wish everyone of you good luck!